Two academics from City University London have been invited to join a new group that will advise the Labour Party on its economic policies. The party has announced that Professor Anastasia Nesvetailova and Dr Ann Pettifor will sit on its Economic Advisory Committee, which will meet quarterly to “discuss and develop ideas around the official economic strategy that Labour will be advocating under the new leadership”. Academics from across the University are frequently called upon to provide their expertise to a wide range of professional, political and economic bodies in the UK and overseas. 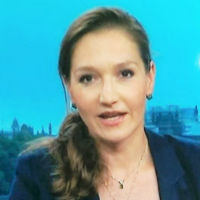 Professor Nesvetailova is Director of the City Political Economy Research Centre (CITYPERC), part of the Department of International Politics. Dr Pettifor is an Honorary Research Fellow in the centre and Director of the organisation Policy Research in Macroeconomics (PRIME). Professor Andrew Jones, Dean of the School of Arts and Social Sciences at City, said : “Our academics are frequently called upon by governments, public bodies and the private sector in the UK and overseas to offer their expertise and help to inform decision making. The committee also includes: Professor Thomas Piketty, of the Paris School of Economics; Professor Joseph Stiglitz, of Columbia University and recipient of the 2001 Nobel Memorial Prize in Economic Sciences; Professor Mariana Mazzucato, of University of Sussex; and Professor David Blanchflower, of Dartmouth College. Professor Nesvetailova said she was pleased that the views of political econ omists and heterodox economists, or those with alternative approaches to mainstream economics, were being taken into account. “I’m honoured to have been invited to join this stellar group and am looking forward to bringing my research and analysis to the table in the discussions ahead,” she said. Professor Nesvetailova joined City in 2007. Her main research work focuses on financial crises, the international financial system and the shadow banking system, and financial regulation. 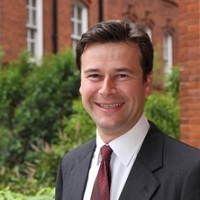 Dr Pettifor joined CITYPERC in 2013. Her work has concentrated on sovereign debts of the world’s poorest countries, international financial architecture and sovereign, corporate and private debt in OECD economies.